Not Your Regular Kitchen Broom! 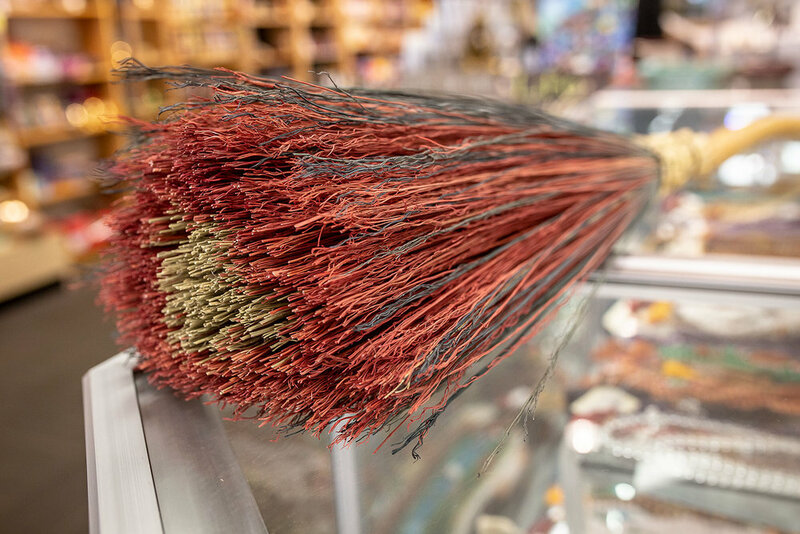 We have a new selection of beautiful handmade brooms that are perfect for the renewal and transformation that comes with Fall and the celebration of Samhain. 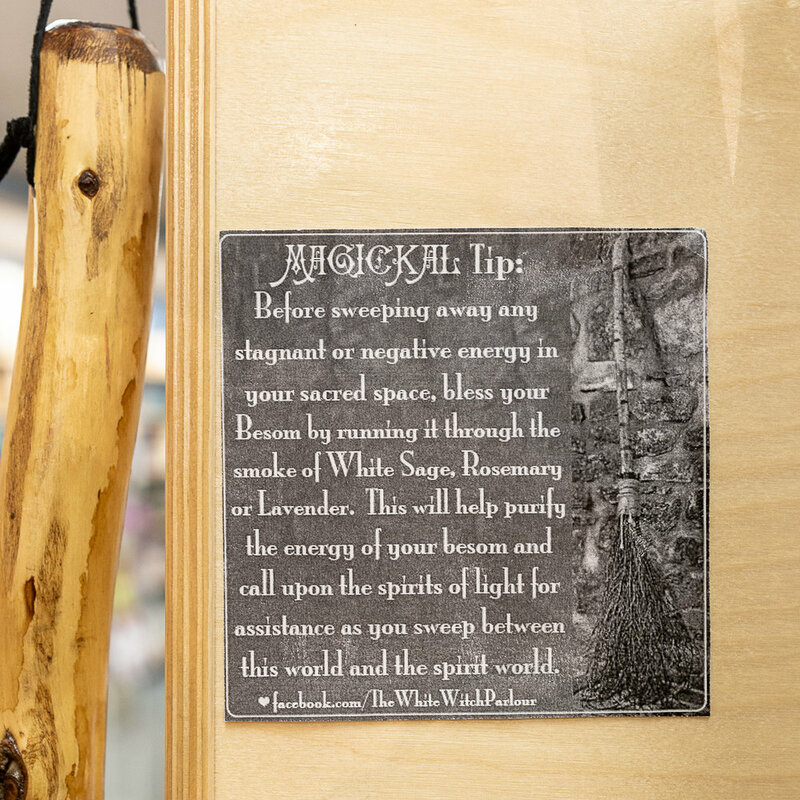 Also known as a Besom, the handcrafted broom was commonly known as the “witches broomstick” in ancient times. 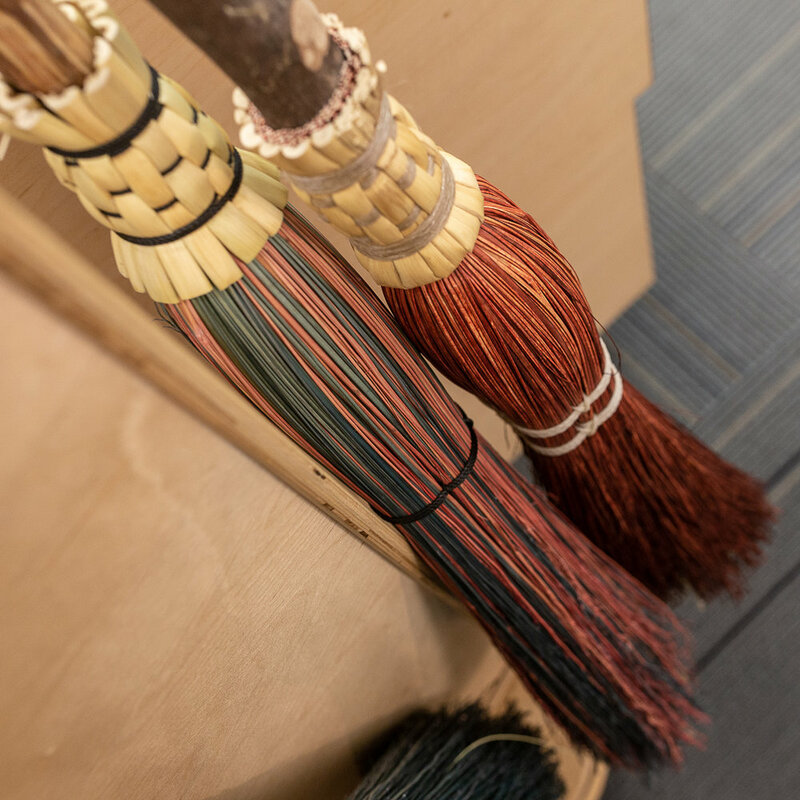 Brooms were often found just inside the home with the bristles pointing up to ward away evil spirits and negative energies. Some ancient brooms had hidden compartments in the handle that carried objects to strengthen the energy and purpose of the broom. If you want to explore the many uses of a besome for cleansing or ritual, here is a chant to use when focusing your intention and clearing your space. So Be It. Blessed Be. Come by Ascendant Books and browse these beautiful brooms before they fly out the door. Wishing you a clean sweep into September!